Carolyn Sue Noe was born to Ruth Alice Durr Noe and Warden L. Noe on Oct. 16, 1944, in Holton. She passed away on Dec. 4, 2015. Sue lived most of her life in Holton, attended Holton Public Schools, enjoyed swimming, riding her pony, listening to music, vol­unteering at the Holton Senior Center, getting to take family vaca­tions, including visiting relatives on the East and West coasts, and spending time with family and friends. In 1996, she moved with her parents to Lawrence, near her sister, Beth Berg, husband Charles, their son Nathan, and their dogs of whom she was especially fond. A kind presence, Sue always ap­proached and greeted people with unbounded cheer, found ways to help her fellow residents with their shopping, bringing in their newpa­pers and making someone’s day sparkle by greeting them by name with her winning smile and a sin­cere “how are you doing today?” Sue also enjoyed card games, Bingo and getting to participate in Diane Lazzarino’s writing class. Following a fall at her residence, Sue’s health deteriorated. Sue leaves the following families to cherish fond memories: two sis­ters, Beth A. Berg and husband Charles M., and Sara Noe Harris and husband James A. Jr.; two nephews, Nathan Charles Berg and wife Yuki Watanabe, sons Calvin Kei Watanabe Berg and En Berg Watanabe, and Jay Warden Harris and wife Maureen Foelber Harris, daughter, Cecilia Elizabeth Harris and son, Grant Warden Harris; one niece, Sara Briggs Harris and fi­ance Patrick Manda; uncle Gordon Schneider; and cousins, Jack McManigal, Nena Lovinger, Kris Bowerman, Russell Norberg, Ronald Norberg, Joanne Bond, Joe Silliman, Norman Silliman, Noel Silliman, Carol Johansen, Keith Silliman, Sharon Veith, Lisa Schneider-Shaw, Lee Noe and Don Noe. Aunts and uncles preceding Sue in death are Margaret Silliman, Joe Silliman, John and Beth Durr, Lillian Schneider, Barbara and Harold Norberg, Ruth and Wallace Duncan, Evelyn and Wes McMani­gal, Marie and Henry Lading and Jed and Ann Noe. Cousins preced­ing Sue in death are Wallace Wayne Duncan, Cameron Duncan, Douglas Duncan, Malcolm Duncan, Bert Lading, Jed Noe, Tim Noe and Grace Amber. Her cher­ished long-time friend Beverly Carothers was there for Sue in un­countable helpful ways. Sue’s par­ents preceded her in death. 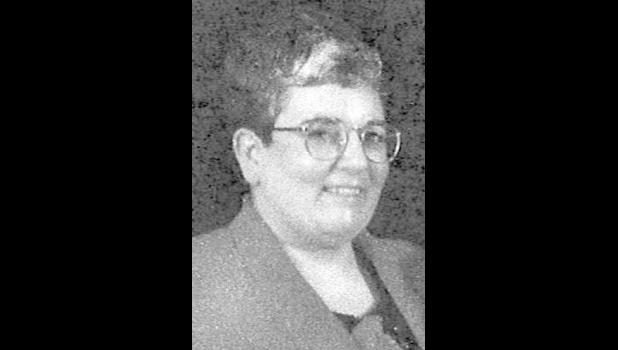 In lieu of flowers, memorial contributions may be made in Sue’s name to Beck-Bookman Library, Holton, or to the Lawrence Public Library Book Van, Lawrence, and may be sent in care of Warren-McElwain Mortuary, 120 W. 13th St., Lawrence, KS 66044. Plans for a memorial gathering have yet to be decided. Sue is sorely missed, never for­gotten, and forever loved for her warmth, helping others, and her sense of fun.